Vacation rental villa. Sleeps 7, 2 bedrooms, 2 bathrooms. No pets allowed. Enjoy sweeping views of Braddock Cove from the living and dining areas of this lovely 2-bedroom, 2-bath townhouse. The deck is great for relaxing and sunbathing. The main floor has a twin bedroom and full bath. The master bedroom and en-suite bath are located on the second level. There is a bonus loft equipped with a twin size bed. The living room has a queen size sleeper sofa, providing additional sleeping accommodations. 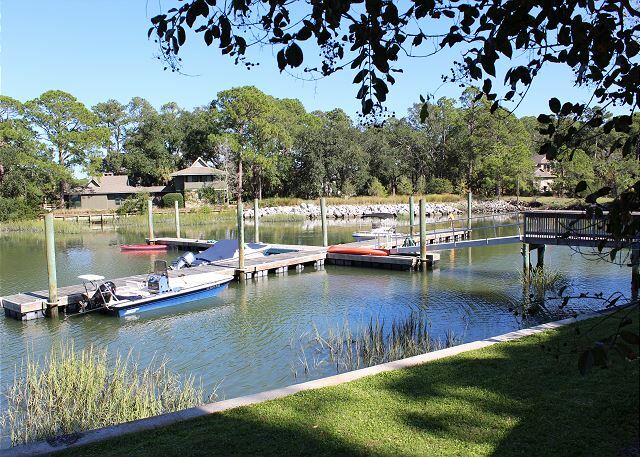 Unique to Port Villas is a private dock, available for your boat, kayak, or wave runner. The South Beach Marina Village is within walking distance where you will enjoy dining, shopping, biking and tennis. Seasonal live music is available at the popular Salty Dog. This is a favorite location for water sports and tennis enthusiasts. The beach is a short walk across the street.